Releasing a record of standards covers is not a new or innovative concept. Rod Stewart pulled it off to great effect at the beginning of this century. Lady Gaga dropped her own takes from the Great American Songbook with Tony Bennett last year. Hell, even Sir Paul McCartney has taken a crack at it. Yet fans were still a little bewildered when Bob Dylan announced that he would release his own record of standards tunes. For those who haven’t listened to any of Dylan’s recent records, the years have not exactly been kind to his voice. To call it gravelly would be generous, so it wouldn’t seem like a natural fit for this material. Then there’s the general reputation of the standards record as a method to combat inferior or diminished songwriting ability, a charge that no one would ever dream of leveling against Dylan. It’s all reason enough to wonder why, and why now. 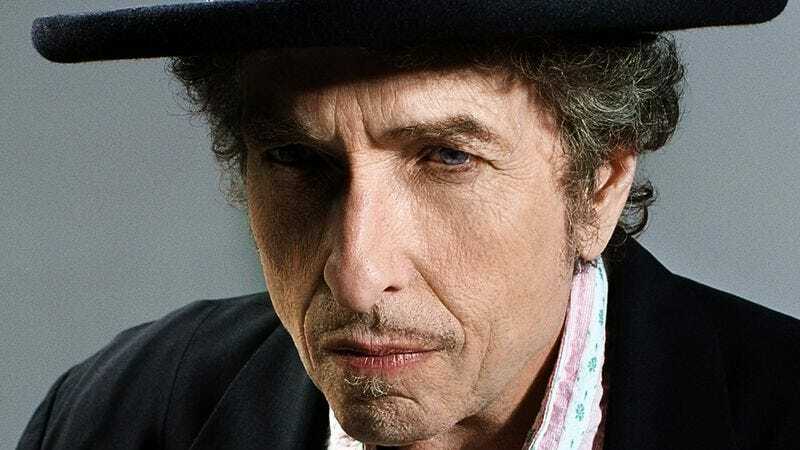 As it turns out, the reasoning is quite simple: “All through the years, I’ve heard these songs being recorded by other people and I’ve always wanted to do that,” Dylan revealed to AARP. “I just like these songs and feel I can connect with them.” You can chalk it up as another instance of one of the most capricious artists in pop music history doing what he felt like. Take it or leave it. For all the worry about Dylan tackling material popularized by the great Frank Sinatra, the most delightful surprise of Shadows In The Night is Dylan’s own voice. Due to the sparse, stripped-down arrangement of the music, there’s fortunately no place for him to hide, and his singing fits these songs much better than you might expect. Each of the tracks on this record carries a melancholy bent that Dylan wraps himself in. The weight of his experience is present in every line, every vocal tic, and every exhale. He’s not trying to be Sinatra, filling the room with his presence; nevertheless, Dylan commands your attention. This is never truer than on “Autumn Leaves” when the music is pulled down low and the tempo slows to a near-crawl. The only moment he ever even veers toward the bombastic is at the very tail end of the final track, “That Lucky Old Sun.” The record was supposedly recorded live, lending a discernible authenticity to the weight of emotion in Dylan’s sometimes-frail, sometimes-raspy delivery. 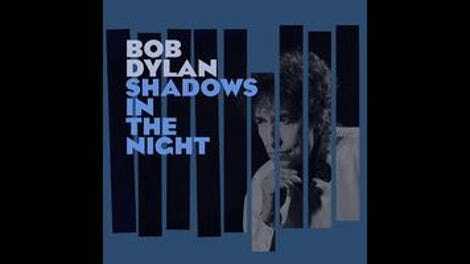 Listeners can spend a lifetime attempting to keep Dylan confined to a series of preconceived notions, but Shadows In The Night is just an example of how he’ll continue to defy them.